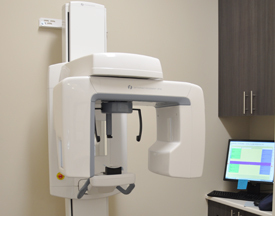 At PQB Dental Clinic, we provide the latest advancements in technology to ensure our patients have the most comfortable, efficient and effective dental experience possible. Infection control is an important part of PQB Dental Clinic to ensure patient safety as top priority. All of our sterilization practices are current and follow the latest guidelines by Health Canada. 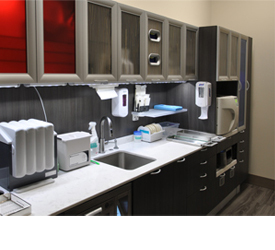 This process includes cleaning and sterilization of all reusable dental instruments and devices in our dental office. 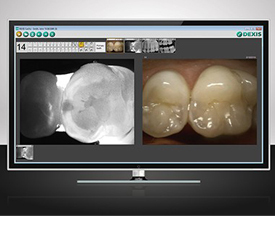 CariVu is a fantastic alternate option to standard dental X-rays. CariVu is an intra oral camera that uses near-infrared trans illumination technology to detect cavities and cracks in teeth. These images are displayed in easy-to-read black and white pictures on the computer screen. CariVu uses absolutely zero ionizing radiation and is a great new diagnostic tool when traditional X-rays are difficult or unwanted. Laser dentistry is a precise and effective way to perform many dental procedures. It improves dental procedures by being able to control power output and the duration of exposure on the tissue (whether gum or tooth structure), allowing treatment of a highly specific area of focus without damaging surrounding tissues. Dr. Rogers currently offers a soft tissue diode laser in the clinic. 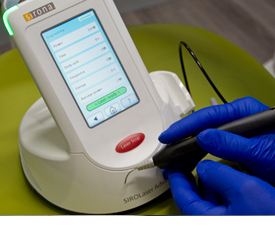 A soft tissue diode laser is commonly used to aid in everyday dental procedures. This is a great alternative to standard gum tissue surgery and facilitates faster healing. Digital X-rays are much safer to patients and produce a larger, more diagnostic image compared to standard dental X-rays. Think of the sensor as a digital camera and we are just taking a picture of your teeth. The digital sensor requires such a low amount of ionizing radiation to take the picture resulting in less exposure to you and your family. These images are then displayed on a computer screen immediately which means no more waiting time for you as the developing time and messy chemicals are no longer needed. 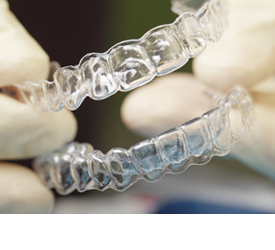 Custom-fit mouth guards are prescribed and created by a dental professional from thermoplastic material and are based on a detailed mould taken of your mouth and teeth. These devices are highly personalized as your dentist can adjust the thickness of the mouth guard depending on your level of teeth grinding and clenching, and they are designed to fit perfectly in your mouth with no adjustments needed. Custom mouth guards can be made for either sports or for nighttime teeth grinding, and are created differently depending on the intended use. 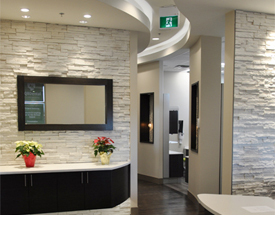 PQB Dental Clinic was designed with energy efficiency in mind. The entire office uses state of the art LED lighting, Solatube daylight system, and a focus on environmentally friendly products and materials. Our goal in 2017 is to introduce additional energy efficiency programs and carbon offsets to become a certified island green business.